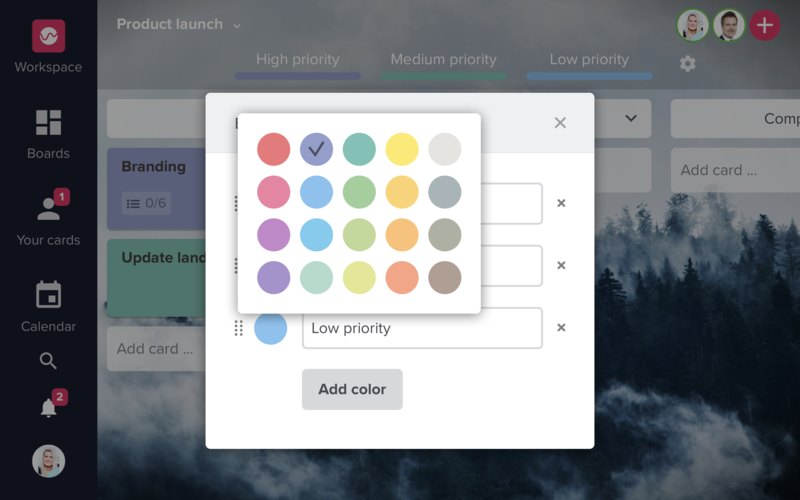 The color coding feature in Upwave is a simple way of differentiating Cards in a visual, easy to spot, manner. 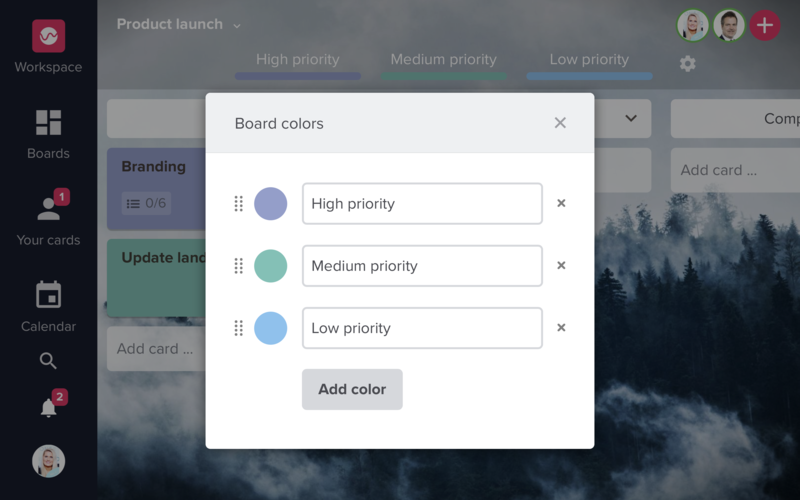 The tool helps you categorize and group your Cards and gives you a better overview and track progress. NB: If you don't already have any colors on your board, press "Add color". Choose a description for each color to make it easier to categorize your cards, e.g. 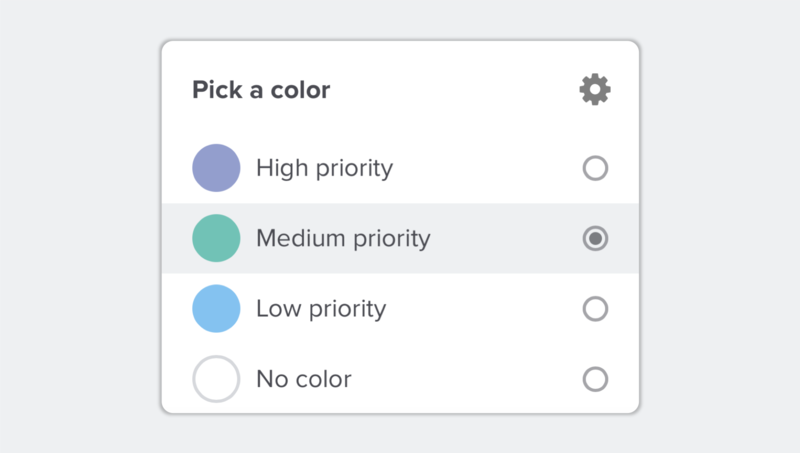 "High priority", "Medium priority" and "Low priority". 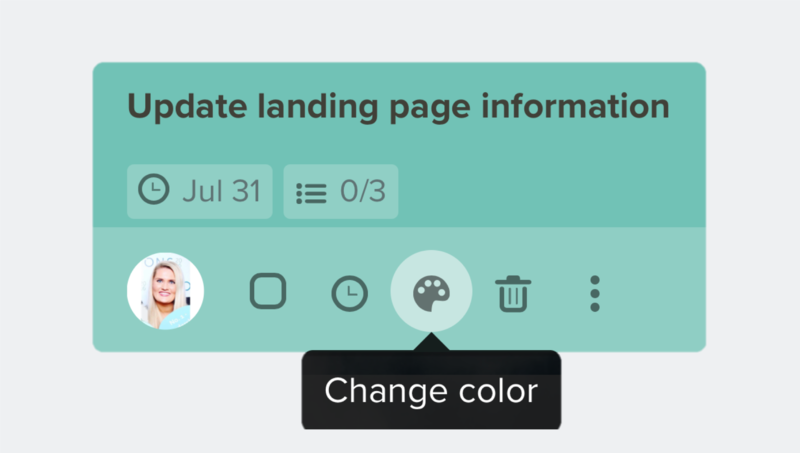 You can leave the text field blank if you don't to name the color category. Re-arrange the order of the colors, by clicking on the 6 dots next to the color and drag it in place. Choose the color you want to use, and voila!